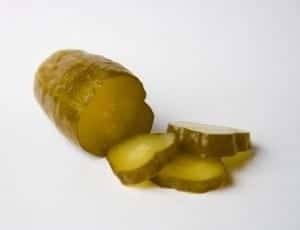 Freezer pickles are an easy recipe to make. Ever wanted to create your own pickles, but you didn’t want to learn how to can, or ferment you own pickles, this is the recipe for you. These freezer pickles are full of flavor and so easy to make. Slice cucumbers into a few plastic containers, you can use things like Rubbermaid, or even old margarine containers. Mix together the rest of the ingredients, and pour over the cucumbers. Cover with like and freeze. You could also use freezer bags. Freeze for a couple of days before using.